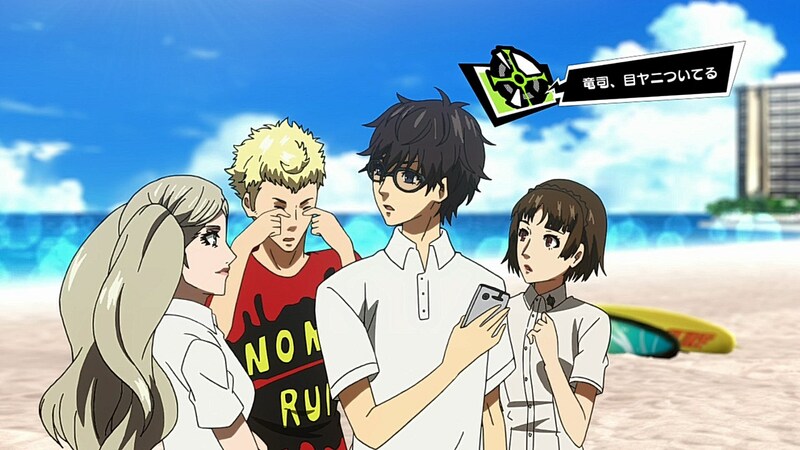 One flaw in Persona 5 that I have been thinking about once I knew that the school field trip to Hawaii would appear in this episode is the game’s lack of “breather moments”. 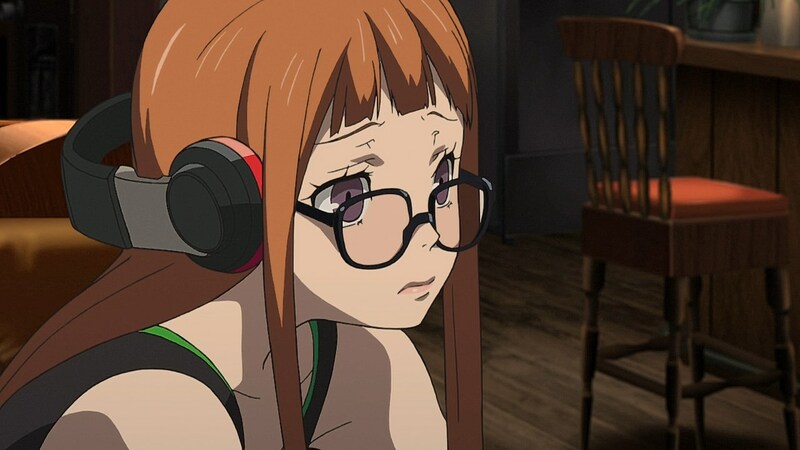 You had times in the other games in the series where there would be diversions from the main story to be able to build upon the characters rather than constantly feel the pressure of having to progress the story. There are other more prominent moments later on in the game during holidays that exemplify this to a T, but with the Summer episodes coming to a close, the beach trip and the Hawaii field trip were just the start of the trend where the game refused to have any breather moments that didn’t involve developing the plot. 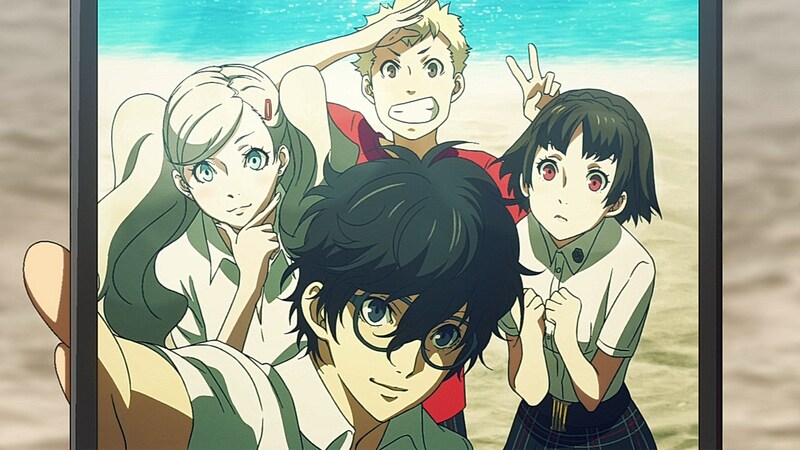 For the Hawaii trip, the game used it less as a way to have our main circle of friends grow closer and more as a way to emphasize the rising popularity of the Phantom Thieves reaching international shores and introduce us to Big Bang Burger, the company owned by their next target Okumura Kunikazu. 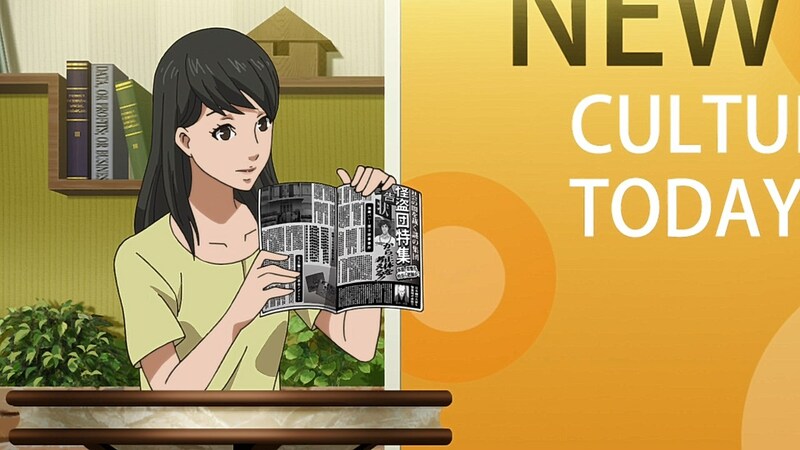 There were a handful of dates you could go on with only some of the girls you’ve met with so far, including Kawakami if you’ve raised her confidant rank to an affectionate level, but nothing to the extent we see in some of the pleasant montages in this episode where we see the characters actually having fun in Hawaii. 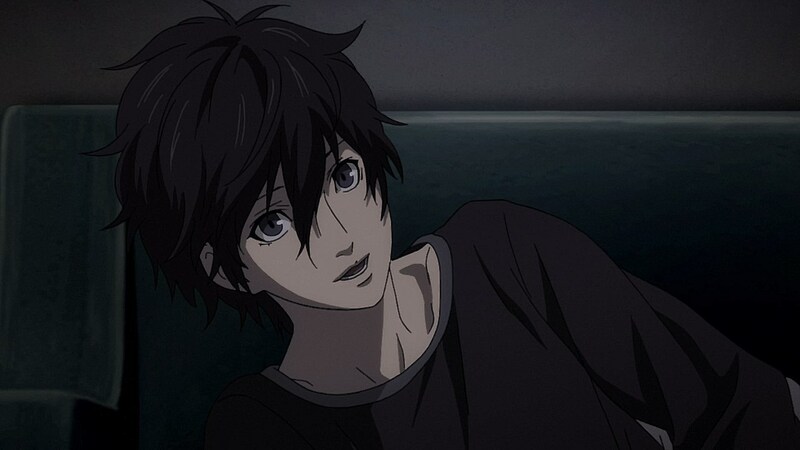 Some things are glossed over for obvious reasons like not giving Ren the choice to spill the beans on the type of girl he likes, but the inclusions to the Hawaii segment were quite a bit of fun. 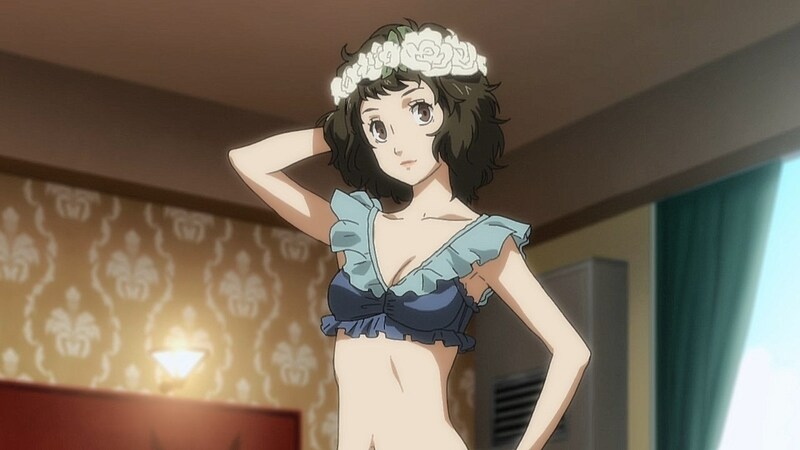 It was a treat to see Kawakami’s glamour poses, and it was funny to see her have to hide her outfits once Haru barged in to ask her a question. They even gave Hifumi a small appearance where she’s surrounded by American fans of the Phantom Thieves who figured that if they hit on her, she’d tell them about her country’s latest celebrities. On top of this, the anime has reached the least anticipated moment in the game where the characters are in conflict with one another. 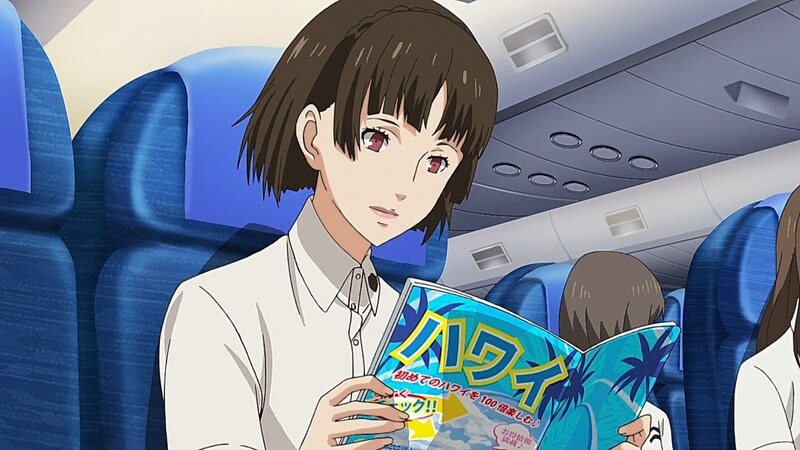 The Phantom Thieves’ sudden fame and popularity creeps Yusuke and Makoto out enough that they want to hold off before they take in the Phan-Site’s #1 target with the CEO of Okumura Foods. 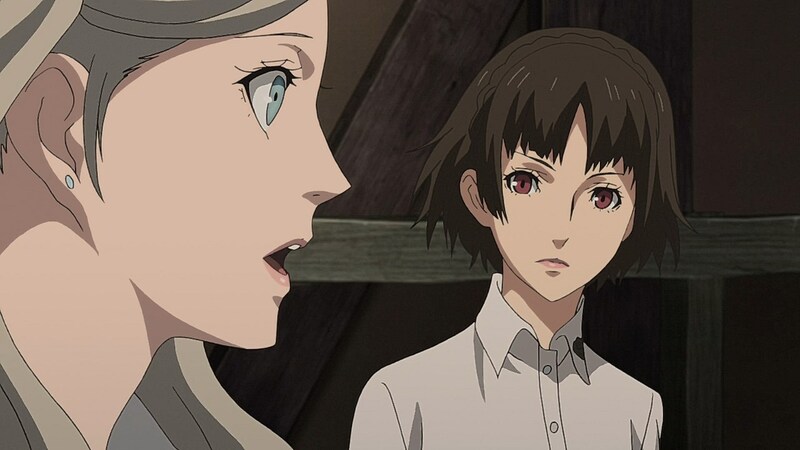 Ren also finds the hasty route to be the most dangerous route while Ann feels responsible for the death of Principal Kobayakawa, who some have blamed on the Phantom Thieves because of their ties with the cognitive world. 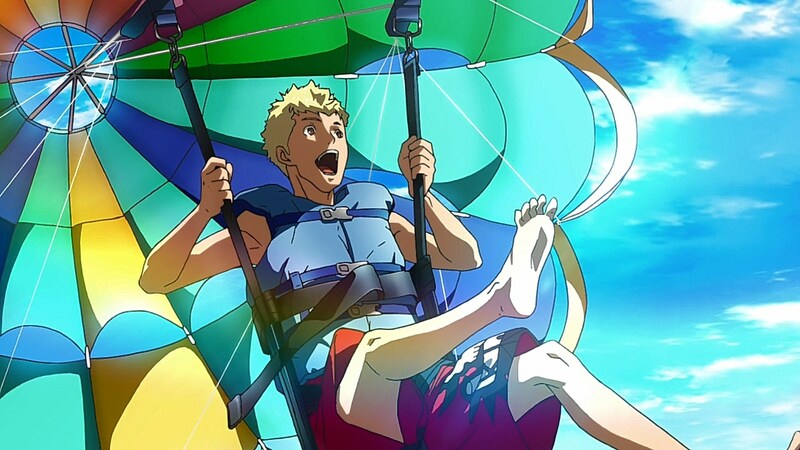 Ryuji, however, is gung-ho to stick it to Okumura because he likes the exposure and fame he is gathering by being a Phantom Thief. 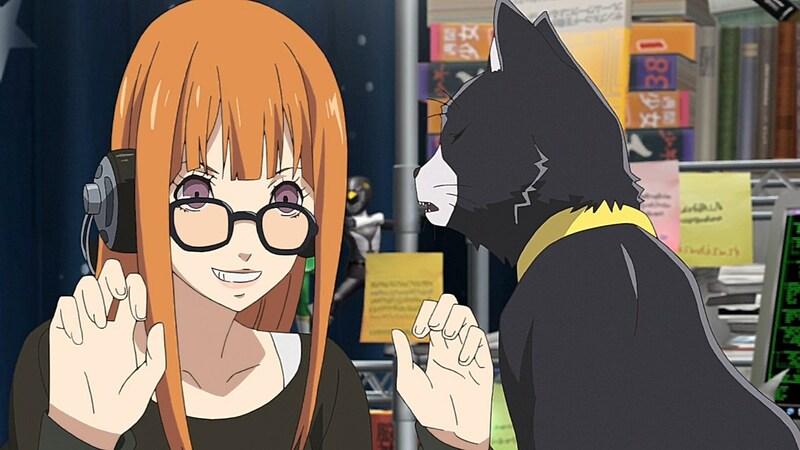 It’s at this point where Ryuji becomes reckless in his words as he uses Futaba’s mom as a prop to get the rest to back him up on bringing justice to Okumura and drives a wedge between himself and Morgana, the only other member who supports jumping right into Okumura’s palace. 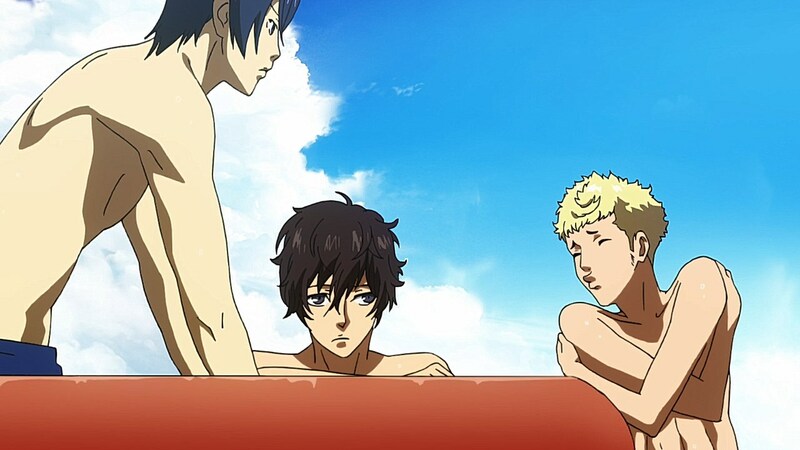 In his insecurities over the possibility of not being human, Morgana jump-starts a seperation arc over Ryuji’s anger as he splits off from the party to go after his heart all by himself. He’s caught up by a mysterious Beauty Thief, but this will be something to dive into the next time around. 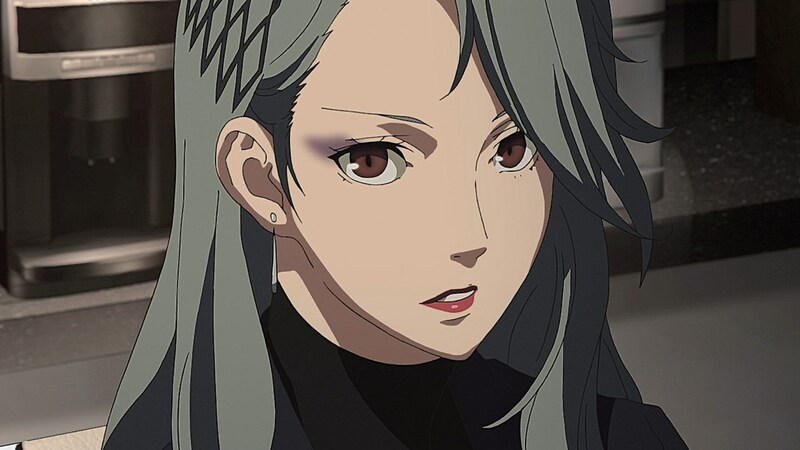 The most significant development by the end of the episode is in the path that Sae Niijima is in the middle of crossing. 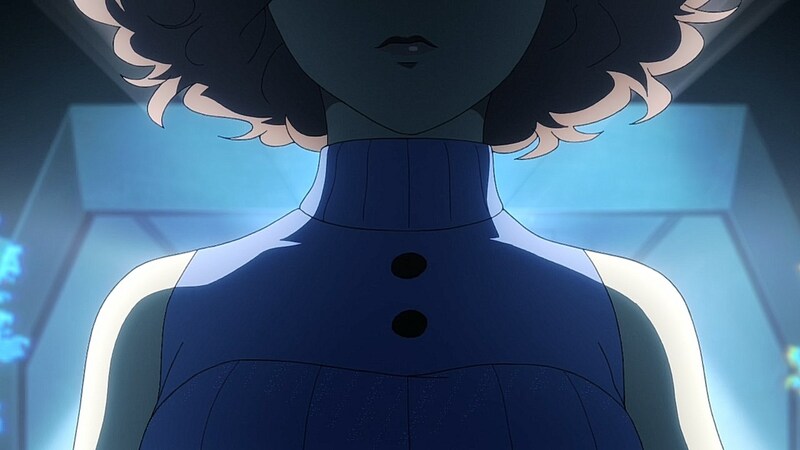 Principal Kobayakawa’s death only causes more questions to arise from her investigation on mental shut-downs as the circumstances behind his death not only mirror the other mental shut-down cases in their spontaneity, but are linked to Shujin Academy, leading her to believe the Phantom Thieves involved with stealing Kamoshida’s heart would have a motive in actively killing the principal. 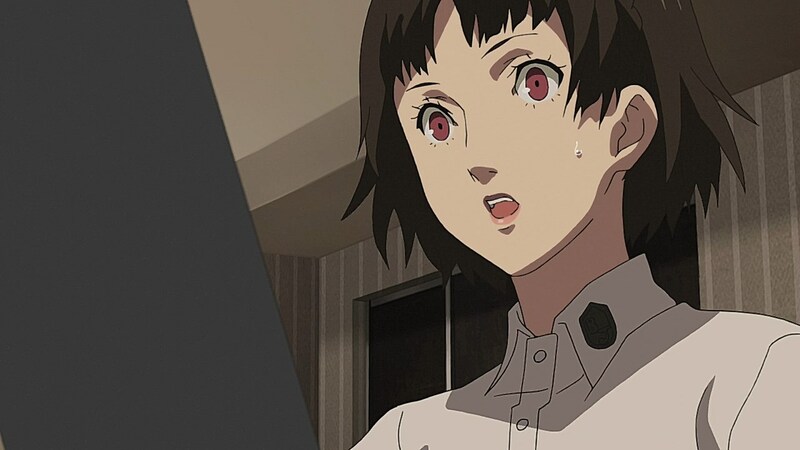 With the stakes behind her investigation ramping up, the pressure on her to get results, and Makoto’s consistently odd behavior in her support for the Phantom Thieves, it’ll be interesting how the anime portrays the shift in her behavior that leads her to getting more aggressive with her tactics in solving the case. 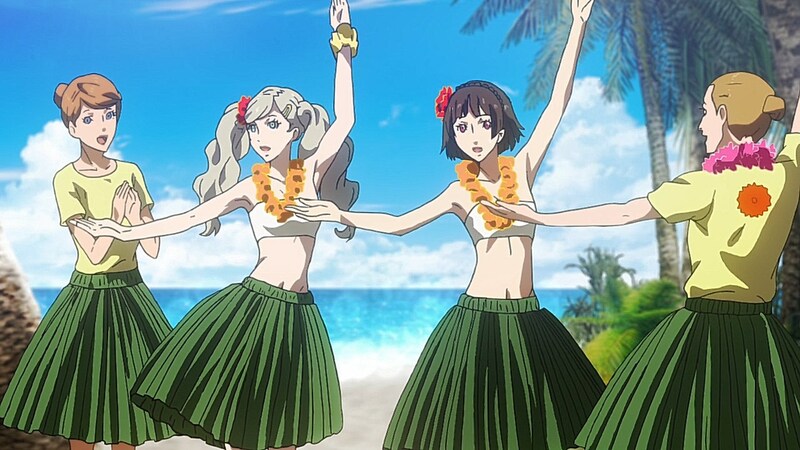 I thought the anime handled Hawaii much better than the game, I’m pleasantly surprised. 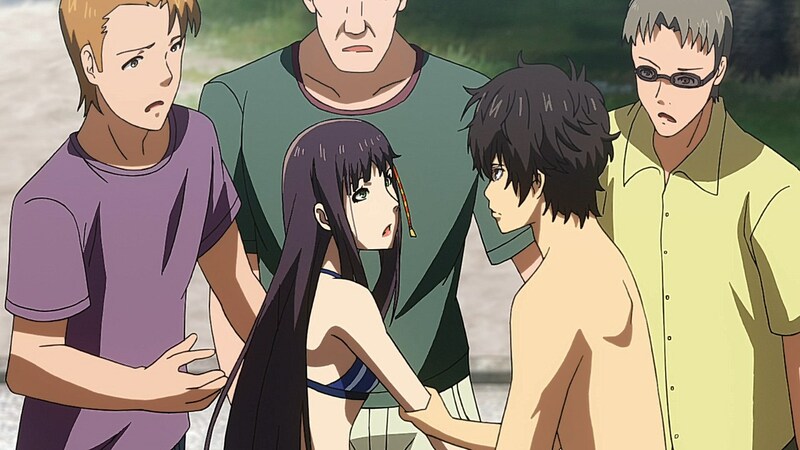 It just wasn’t fun to watch on the PS4, but the anime was mildly amusing. 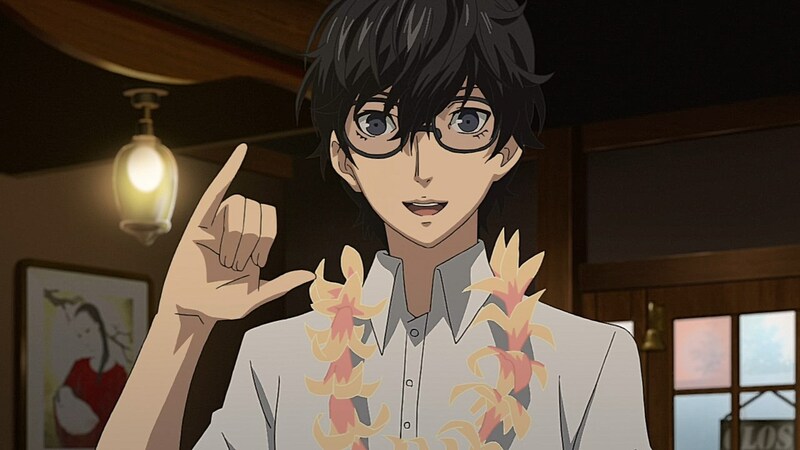 That said Mishima needs to chill with the Phantom thieves stuff, he’s in Hawaii and he’s still desperately trying to validate himself/seek approval. I think that’s probably because he’s devoid of friends. 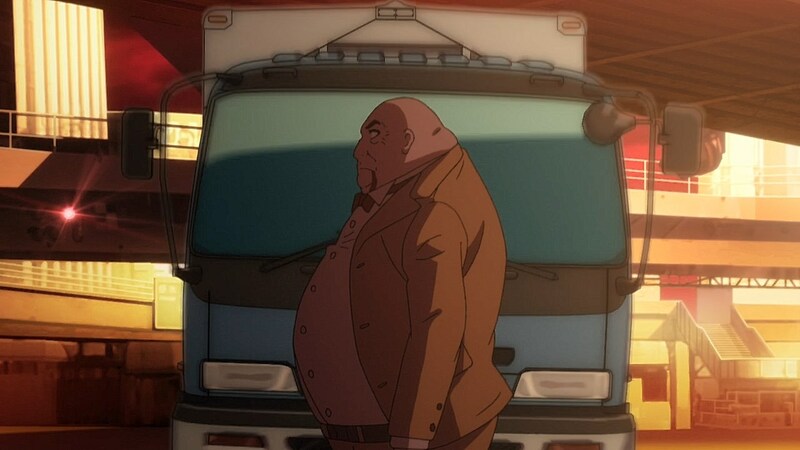 As for Sae I think her own ambition was the source of her own downfall. She’s under pressure to get results in a case that even Sherlock Holmes himself would struggle with. It’s not like anyone unaware of the cognitive world could piece things together. 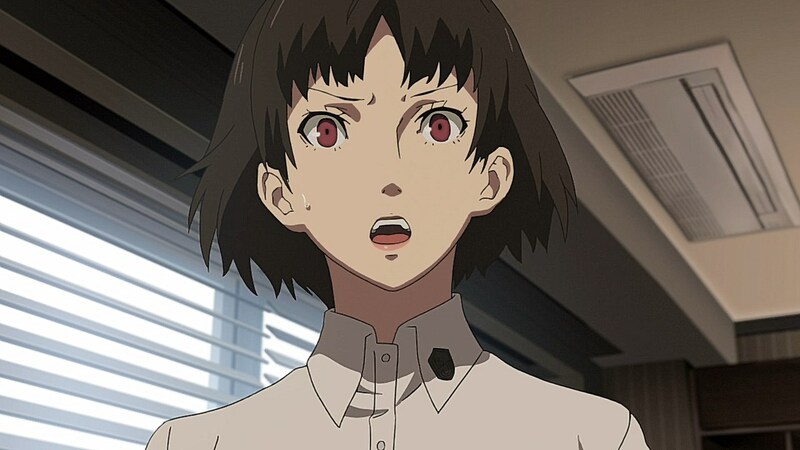 She’s a bit of an unintentional antagonist and really is a decent person who would do the right thing if she was aware of the facts from the get go. 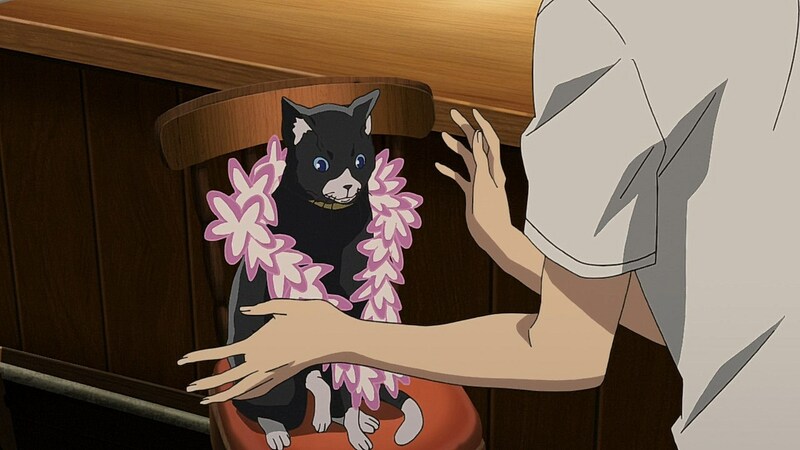 I think Morganna is just limited from the social stuff because he’s just a cat. There’s only so much you can really do there and that started his cry for attention. I don’t think the group intentionally meant to make him feel like he wasn’t valued but er yeah, he’s just a cat. I think if he was human none of this drama would have happened because he would be with the group during bonding events like Hawaii and would feel more in tune with the group. Yeah, it was a part where, as long as the anime showed activities outside of what was captured in the game, it’d be an immediate improvement from the game. 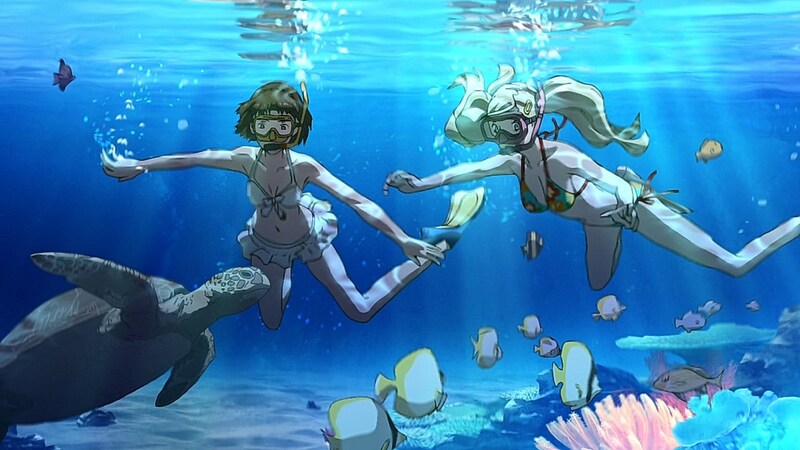 The Hawaii section needed to be fleshed out, and though I was more of a fan of how they improved on the beach trip with Futaba, it was great to see the Hawaii trip show the students actually exploring things to do in Hawaii. 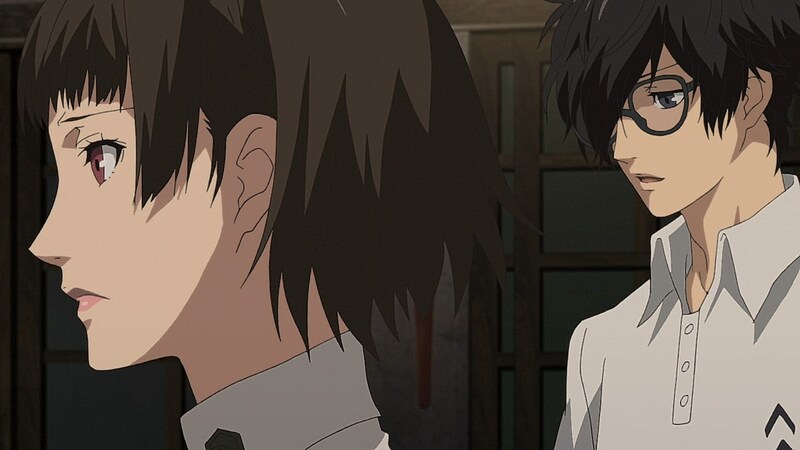 Having Mishima’s section focus more on his slow descent into obsession with the power his role grants him rather than the bathroom trouble the game gave him was also a good decision on the anime’s part. 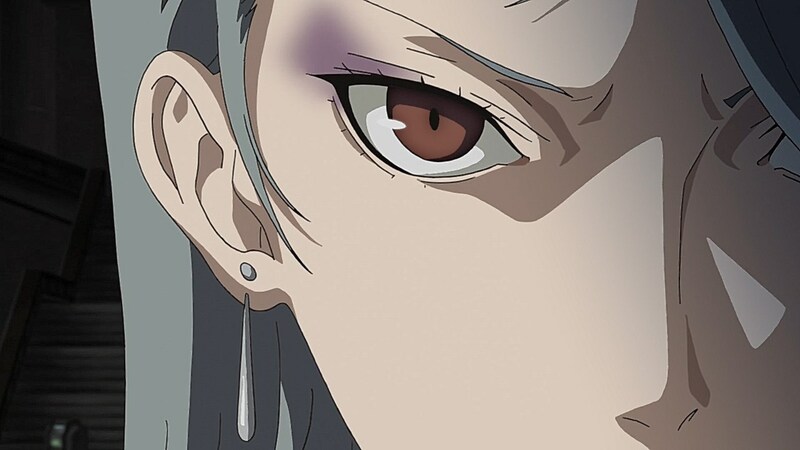 Sae’s situation, much like the rest of the cast, goes back to quote from the beginning “You are held captive. A prisoner of fate to a future that has been sealed in advance. 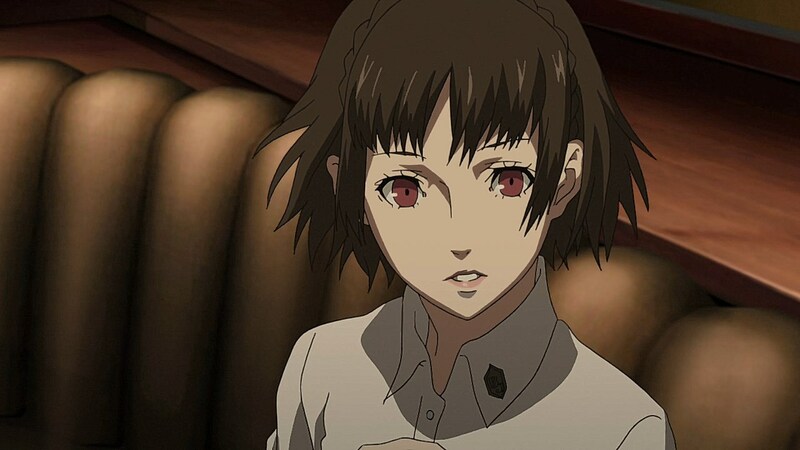 This is truly an unjust game… Your chances of winning are almost none.” The cards that Sae has been dealt in her investigation have always been rigged against her favor because she would never have been able to conclude that the mental shutdowns are the work of something supernatural, nor could she investigate it without looking like a crazy person arguing about cognitive psience and mind palaces. 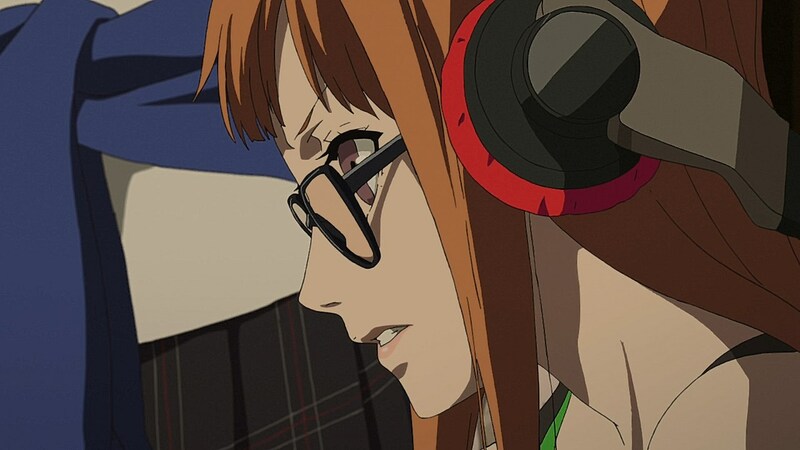 She’s actually fascinating in the sense of how she handles being stuck in the same predicament as the rest of the cast, where her only way of being able to get ahead seems to only lead towards working herself to the bone to use any tactic she can to achieve results. 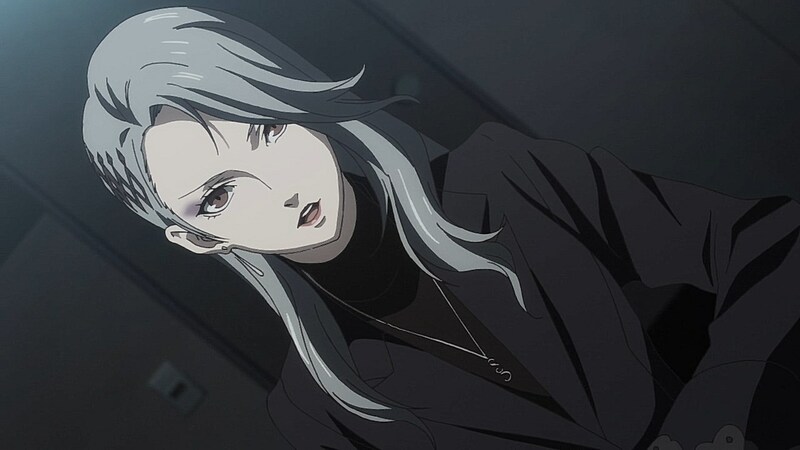 Whereas the paths the Phantom Thieves were lead down were meant to lead back to reforming society, the only way Sae can make any positive change from her position is to let herself be lead down a path where her desires are bound to be manipulated at some point. Where she’s not far gone enough to be completely distorted by her desires to advance to have done anything horrible, yet the trajectory she is heading is leading her into the desperation it would take to make worse decisions for the sake of success. 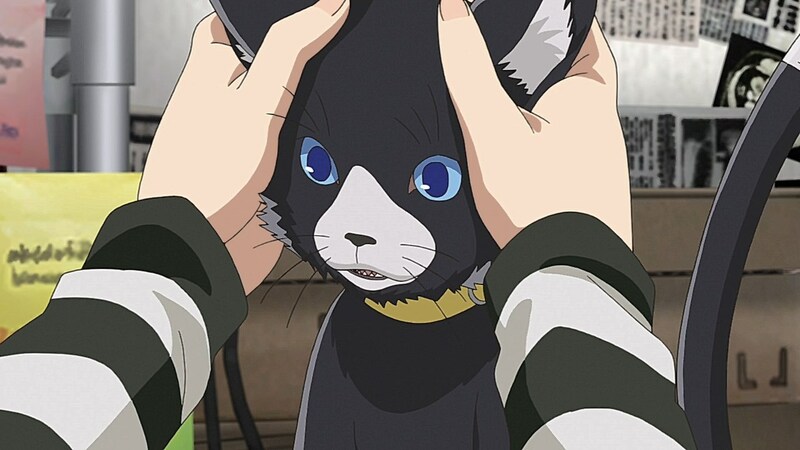 Also true with how Morgana’s outside form is definitely feeding into his complex as the treatment he gets as a cat makes him feel even less human, and how much he reflects on the desires he has to be and feel human, walking around anywhere he wants to while being treated seriously by the others, including Ann. 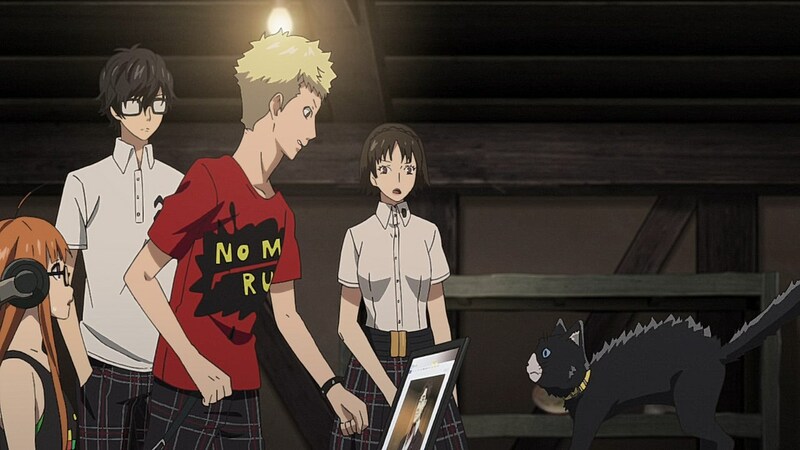 Ryuji intentionally twisting the knife by getting back at him for all the times he’s called him pathetic in-battle also adds to it, but generally, it’s a subconscious thing that the other PT would accidentally do by emphasizing him being a cat or a mascot rather than a human that can easily be their equal. August 12, 2018 at 9:41 pmYou know, for kids! You’re very welcome. I knew the pose with her t-shirt swimsuit was going to happen, but didn’t expect them to go the the extra mile with the swimsuits she brought with her. The storytelling has improved since the start of the Madarame arc, but they still rush through so much of it that it isn’t the ideal alternative to playing the game. It did improve on weaker parts of the game like the beach trips, Hawaii, and Eiko’s storyline, but doesn’t do justice to most of the game’s positive aspects. 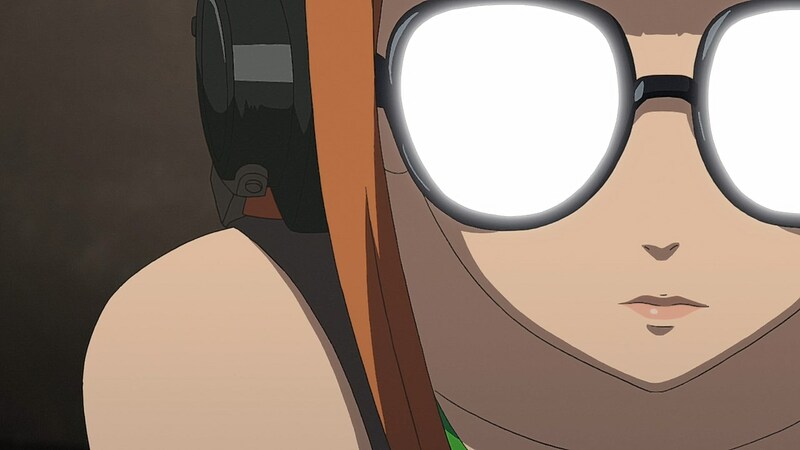 While that’s more hit-or-miss, the art and animation is something that is a constant issue. They do well enough with close-up shots of character’s faces, but most shots far away from the audience’s view looks shoddy and warped. 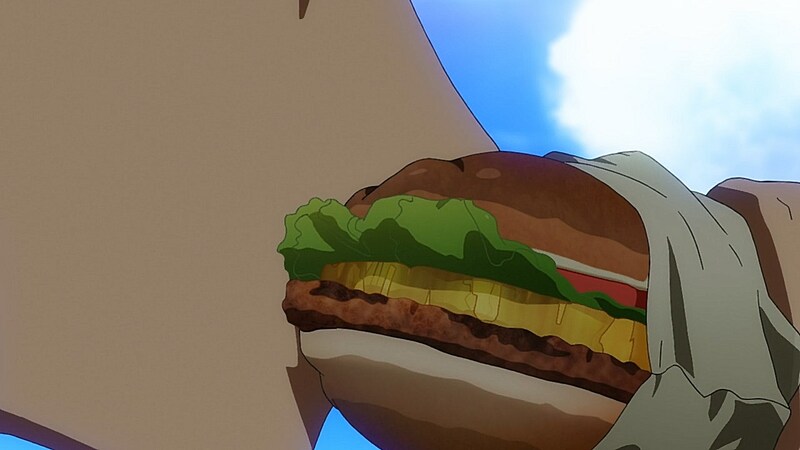 It’s one of those series’ that relies heavily on Blu-ray edits to make visually appealing. Yeah, that image 09 looks real bad. 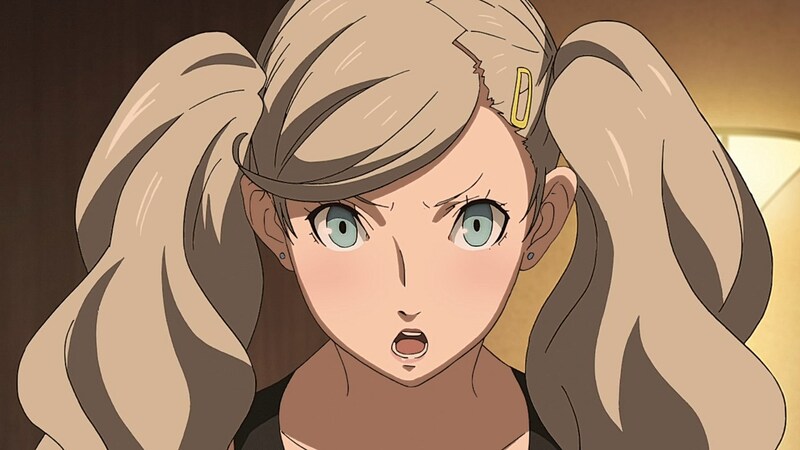 I don’t even know what to say about that profile drawing of Ann.